See, sometimes a button appears over the enemy and if you do anything other than quickly hold that button, he or she will block and then get an automatic hit in. That might be okay if you only fought two enemies at a time, but with 6-8 foes on-screen and very little time to react, let alone target the right foe, it often ends badly. The odds are stacked so poorly against the player, even on ‘Easy,’ which is the equivalent of most games’ hard modes. The developers seem to subscribe to the old Mortal Kombat school of difficulty level labeling - or should I say mislabeling? 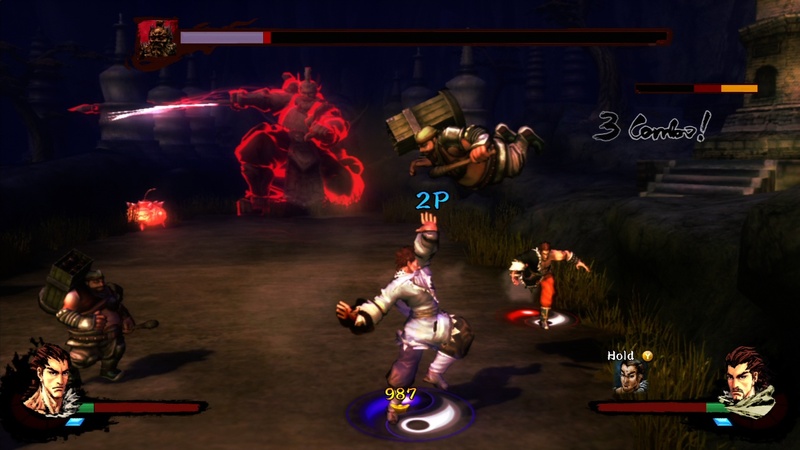 Kung Fu Strike’s shop system had a chance at alleviating the difficulty. Players earn points the first time they complete a level or by completing that level’s optional challenge. But the system falls apart for multiple reasons. One, you’re broke most of the time because many of the challenges are crazy difficult and levels pay practically nothing on repeat playthroughs. Two, almost all the moves you can buy are tied to the same two-bar Chi meter and the same two buttons, meaning you can only use them occasionally at best and they add very little to the fighting in general. The shop also sells equippable items, but they have so scant an effect as to be useless. In short, no amount of upgrades can properly balance the scales in the player’s favor. 2-player local co-op should have been Kung Fu Strike’s saving grace. Even though Multiplayer Campaign is a separate menu option, progress is shared with single-player, so it might as well have been drop-in, drop-out like the god of co-op intended. The second player controls a mustachioed, nameless clone of the main character General Loh – sort of an old-school touch, like from the era before games had enough memory for two different player characters. That’s nitpicking though – far worse problems drag down co-op. Even though players are confined to the same screen, the dynamically zooming camera struggles with keeping both on-screen at once. Far too often, one of us would get too close to the edge and simply disappear from view. Other games either don't allow players to leave the screen or warp the off-screen player somewhere closer to his teammate, but not this one. Co-op would at least reduce the frustrating difficulty if not for the fact that enemy numbers, including bosses, usually swell in 2-player. Double the unfair bosses equals double the chances to die. Worst of all, if either player runs out of health, both players have to restart the level. It’s like a game from 1987 that wasn’t as fun as Double Dragon time-traveled to the future and completely missed the co-op innovation of reviving one’s partner! Come on - Kung Fu Strike doesn’t exist in a vacuum. I could list other problems like the completely forgettable and inane story scenes that precede every.single.level or the PC game’s ridiculous lack of graphical options, but ugly gameplay is what killed this beast. Kung Fu Strike: The Warrior’s Rise has exactly one thing going for it: wuxia. In every other way, this game feels like a soulless, propagandistic, and needlessly sadistic effort from a handful of developers who apparently haven’t played a beat-em-up (or even a PC game) in the last 10 years. If you must play an Asian brawler, skip this and go for Dungeon Fighter instead. 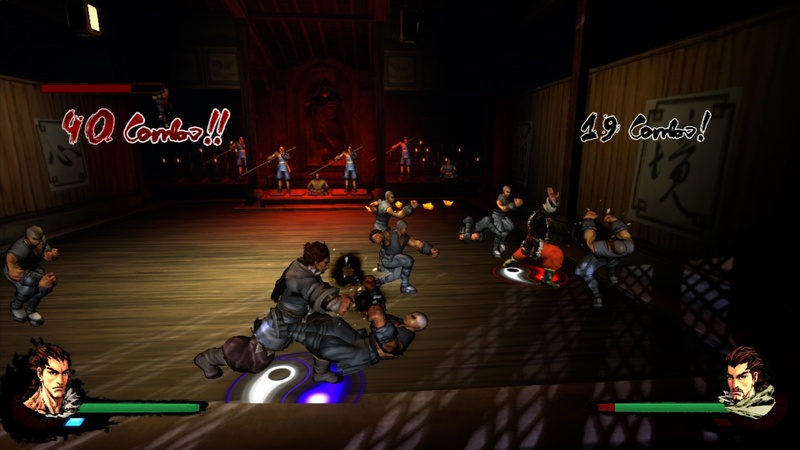 Editor's Note: The Co-Optimus Co-Op Review of Kung Fu Strike was based on the PC version of the game. The review copy was provided by the publisher. The Co-Op Experience: Take on the main campaign with a friend (albeit in a separate multiplayer mode). Enemy encounters double and if either player runs out of health they both get a Game Over, so co-op may be more challenging than single-player.